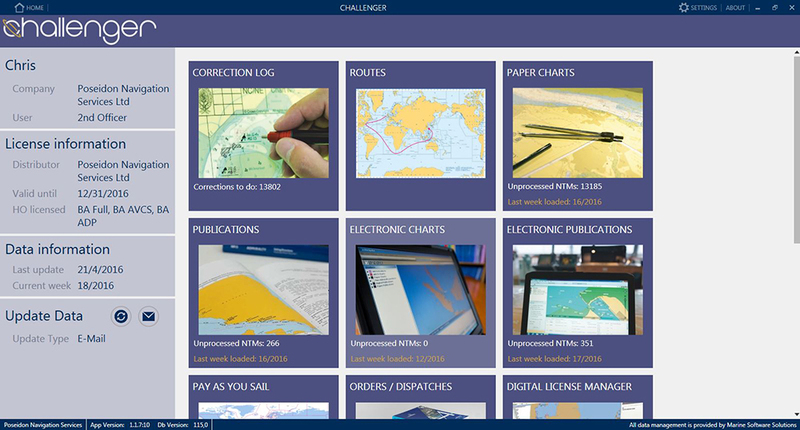 The Challenger software has been designed and developed by Poseidon to provide the Mariner with a simple yet effective solution for receiving weekly electronic Notices to Mariners and Navigational updates, enabling the vessel to remain compliant with maritime regulations at all times. 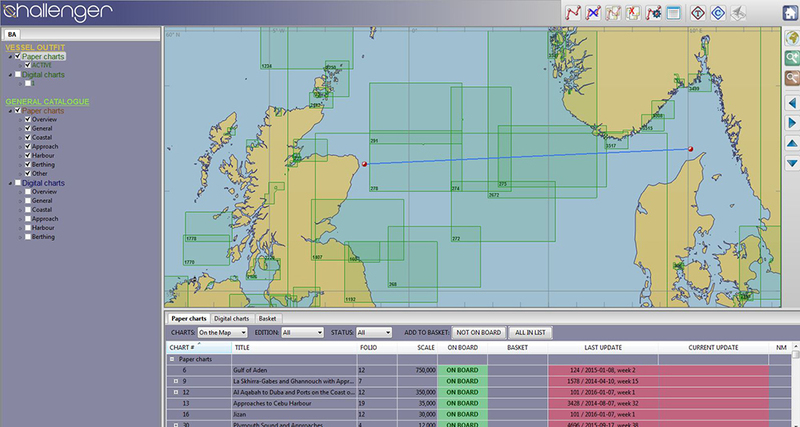 It currently provides updates for; Admiralty Paper Charts & Publications, AVCS, ADP & AENP digital products, with many more products to be added in the future. 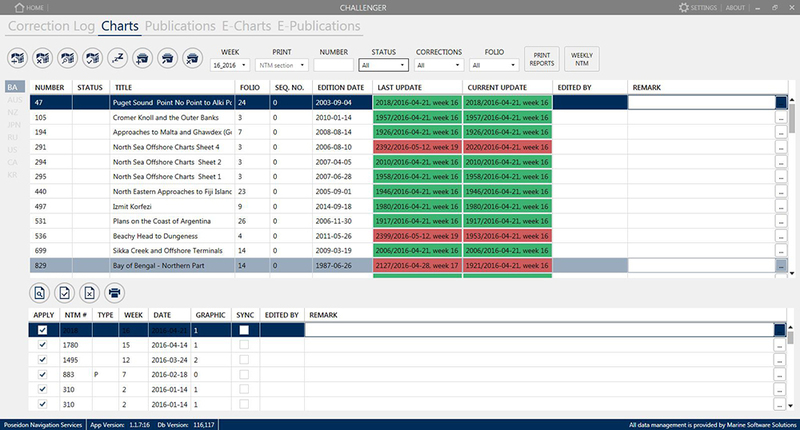 Challenger allows the end user to effectively manage their on-board holdings, and can receive updates either by a direct Web Sync or by receiving weekly email files. Challenger is purchased on an annual subscription basis. 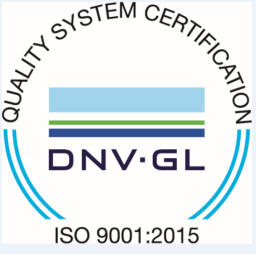 Please contact our sales team if you are interested in purchasing the software. 2018 BROCHURE – Click on the link to access our latest Challenger brochure.